We’re a husband and wife wedding photographer team based in Derby, UK. Originally from New Zealand (or Nu Zillund as it sounds coming from us), we’ve been living in the UK for the past six years and have two adventurous boys: Finley, 4 years, and Harland, 1 year. Coming to live in the UK, was like being given a chance to start over – no jobs, no stuff, nothing holding us back. We sold our house, cars, lawnmower, Chantelle’s art supplies… the lot! (Well, we didn’t sell our CD collection, but we should have. Spotify eh, who knew!). And we bought a half decent camera to document our new life here. One thing led to another and we found ourselves photographing a friend’s wedding. We were hooked. We love that weddings encompass the best parts of human experience – family, community, love, fun and good food & drink! We have the privilege of being let in to the heart of ordinary people’s lives, in a 0-60 MPH kind of way. Seeing couples being their true selves with the people they love the most. Feeling the emotions flowing easily and rising to the surface – smiles, big laughter, some tears, crazy joy. We get to join couples on one of the most incredible days of their lives. That can’t be beat! As expats, travel is in our blood. We photograph weddings in Derbyshire, Nottinghamshire, the rest of the UK, New Zealand and beyond. Wherever you plan to be, we’d love to join you. 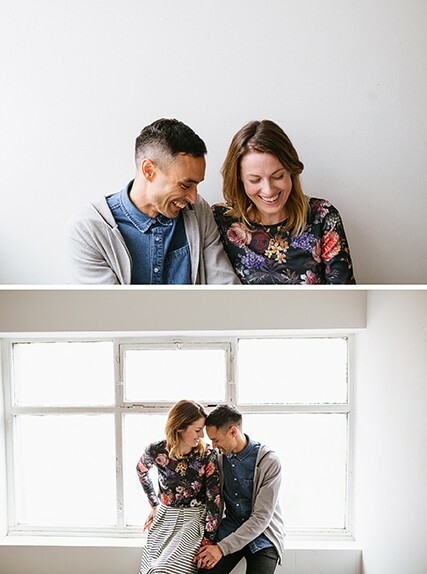 Images of us by the wonderful Emma Case Photography.